If you usually depend on Skype to communicate with your overseas friends, now you will have a different experience with Amolto software. The app is excellent with amazing features to ensure high-quality recordings. 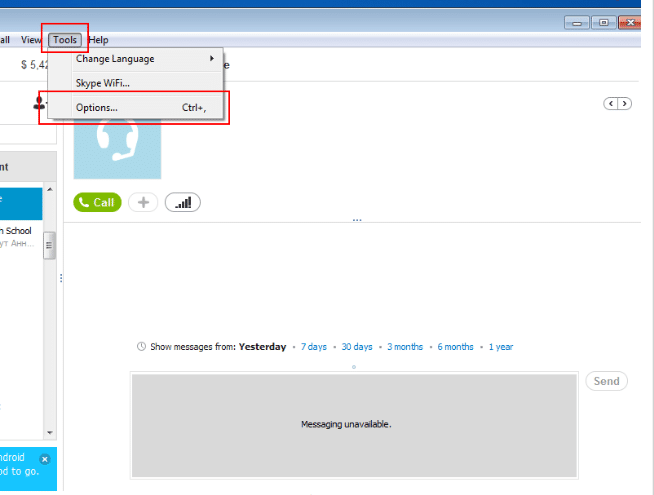 Amolto Call Recorder for Skype launches automatically after Windows operating system booting up. The app starts to record Skype conversations automatically as soon as you start making a call. With this application, results are thrilling, and you can store them for future reference. It is a new experience to all PC users to have this application, which is bringing a delight. The app is compatible with Windows and installs easily without hiccups. All you need is to follow the steps given, and you can enjoy having a high quality recording. As one of best Skype Call Recorder for Windows, the app is pleasing and comes free from virus to ensure safety to your device. Hence, you do not need to bother about installing different anti-virus for the accommodation of this application. On the other side, Amolto Call Recorder is available to different users, and there is no limitation of having the app on your computer. The best thing about this call recorder, the interface is users friendly without disruption, and it can display status on the headphones or microphones. A situation that is surety of initiating impressive and high-quality Skype calls. It is a new taste to have such software for excellent moments, and I think Amolto Call Recorder is one among the best applications you can have in this new generation. The features are modern and pleasant to ensure quality service bring excitement to all Skype users. If you have been considering of filing your Skype conversations for either personal use or commercial purpose, it is now possible with Amolto. Have a try with this application and trust me the results willing thrilling. It is a wonderful software with a good design for efficient Skype call recording. 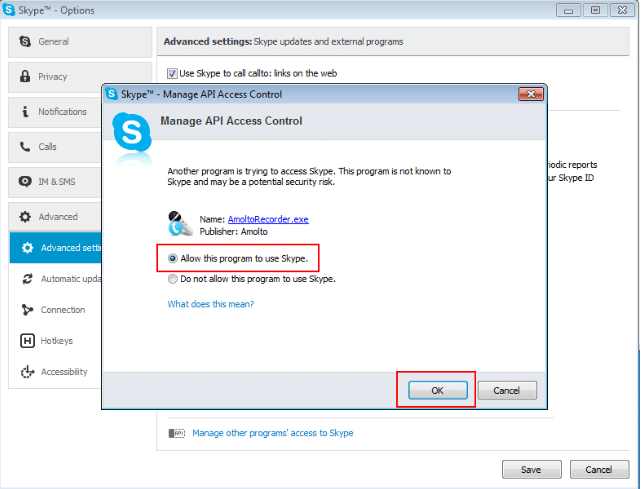 To get started with this application is easy and any user can manage to carry out all Skype activities with the app. The first thing is to download the app, install into your Windows and follow few steps that will be given by setup wizard. You may get different options like “Amolto Call Recorder wants to run Skype “then you should press ok button to enable the activation. The application works well with 32 and 64 bits additions of all Windows Vista including the Windows 7. It might take you some few seconds for the app to launch and run successfully. 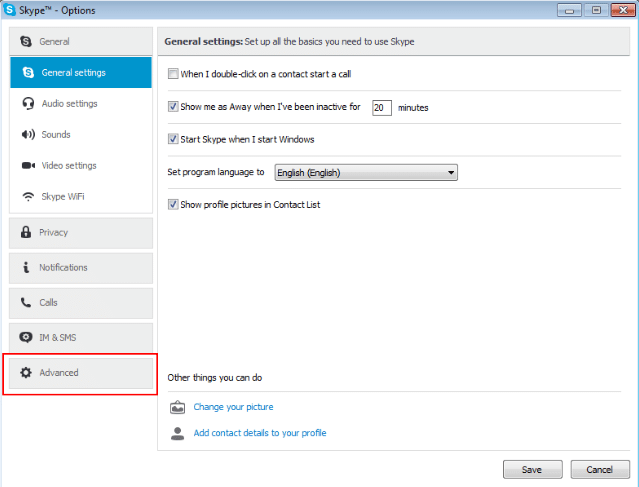 After customizing Amolto Call Recorder, you can press the start button to initiate Skype Call Recording. With this application, it is fun to record your calls. You can pause and stop to remove some segments in the conversation, which might not be important. When accessing options menu, simply press the option suggestion as well as viewing your recordings. The process straight forward to use the application to all users. It is incredible to record with Amolto Call Recorder for Skype simply because you will just record whatever is coming out from headphones or speakers. Like example, you might be listening to a specific online radio station by using Winamp. Amolto Call Recorder will record if it is a song playing on the speakers. When making a call with you friends, this application starts recording Skype calls automatically then saves them as an audio file. This file is clear and of high quality so do not expect ordinary recordings that you might have experienced using other applications. However, in the pane of recording history, you will find your audio file, which you can replay later using a different player may be an external one. 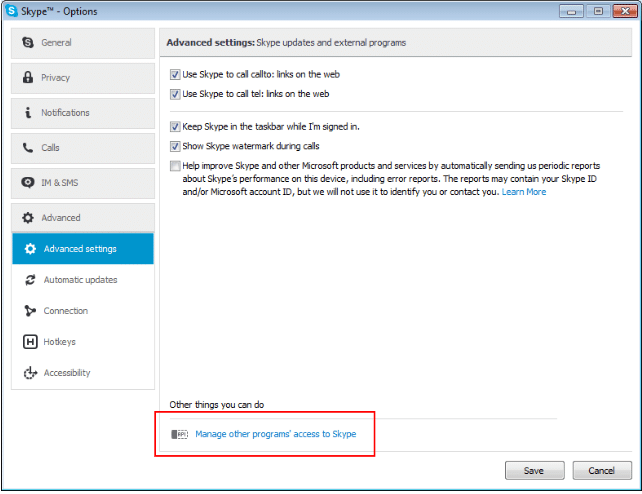 For, sure you do not need to get away with your money purchasing other Skype recording apps. Amolto is free and comfortable to use without complications. Choose the best version that suits you for Amolto Call Recorder from its website. Install it just like other apps. Go to tools and click options. Click advanced and tick automatic recording as well as time. 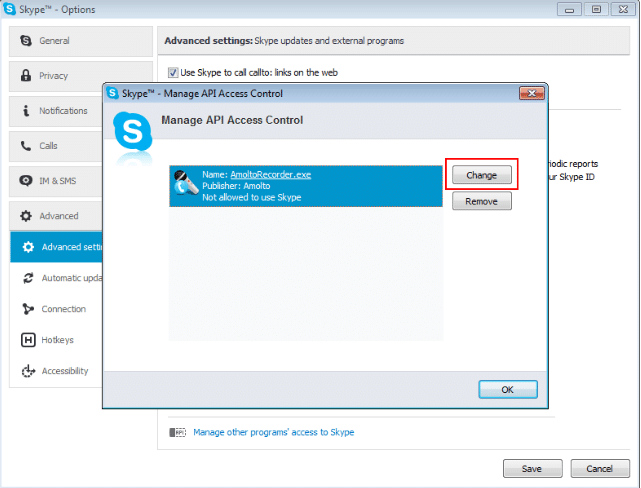 Now click Allow this Program to use Skype and confirm with OK.
From this point you can now record calls and videos automatically. It is a modern app and can play recordings in the built-up player. Am yet to find one with this application! 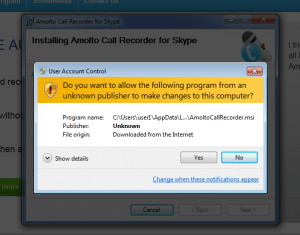 Amolto Call Recorder installs without any issues at all you need are to authorize the application with Skype for it to function. After installing, you can enjoy automatic recording from this application. This software interface is always friendly to all users with no disruptions and ensures status display on microphones or headphones. With Amolto Call Recorder, recordings are saved inform of MP3. The format is nice and supports various devices such as portable players and mobile phones, which you can play later for reference. The other exciting part of Amolto is you can specify the type of the recording that you prefer. It is possible with this application since it can capture only the voice of the person you are talking to, your voice or both voices. It is an amazing Skype recorder app, which will digitize your Skype conversations. Amolto Call Recorder is a nice Skype add-on recording high-quality files for a different experience. It is the app you should die for since is free and fast to download. This application comes with excellent and surprising features that I think are not yet improvised to other common apps . To all Window, users make a try on this software, and it is a guarantee for incredible results.